Residential Life at Discovery Ranch is designed to build relationships. Your son will start each day with a goal setting group. At night, he will gather again to evaluate his success at achieving those goals. In between, he will have daily chores, just like in a home environment. Some of these chores include preparing and cleaning up breakfast, laundry, house cleaning, and homework. Also, your son will be responsible for helping to care for two rambunctious Labrador retrievers, a cat, and a few chickens. 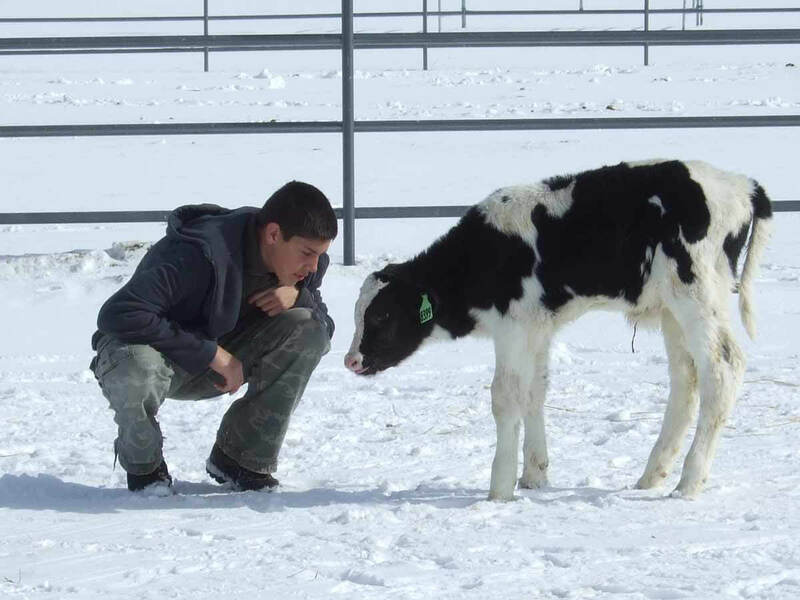 As a working ranch, students are also require to do a number of ranch chores. Horses must be fed each morning. Calves must be fed each morning and night. While your son learns to care for something other than himself, his self-esteem will grow. He will come to realize that work is necessary and fulfilling. Another major focus of residential life is in building strong relationships. That includes helping your son learn how to live and work with people when he might not necessarily see eye to eye with them. As your son progresses in the program he will be able to join the groups that go off campus and enjoy the wonderful mountains and adventurous activities we do weekly at the Ranch. Some of these activities include ski passes, trail riding, hiking, fishing, canoeing, movies and events, and so much more like our competitive 5k cross-country track team and our fun outdoor soccer and flag football games.